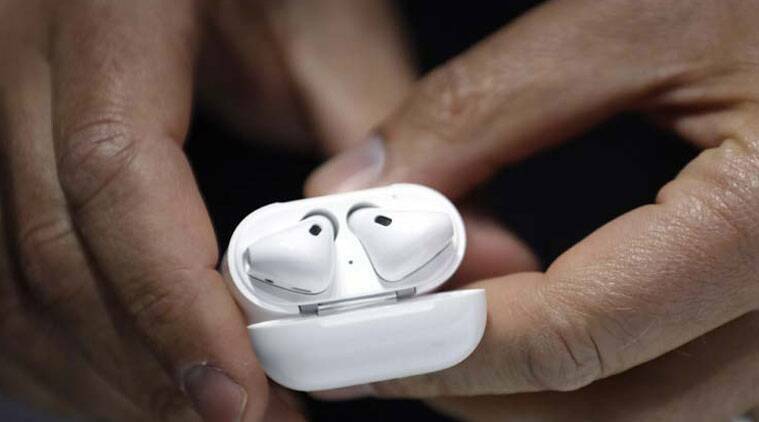 AirPods were first launched in 2016 alongside the iPhone 7 and have since been one of the best-selling truly wireless earbuds in the market. You will find people wearing AirPods in the gym, in the Café, in an office meeting and pretty much everywhere. What has worked in favour of AirPods is the ease of use and affordable price, compared to the premium that Apple usually charges. 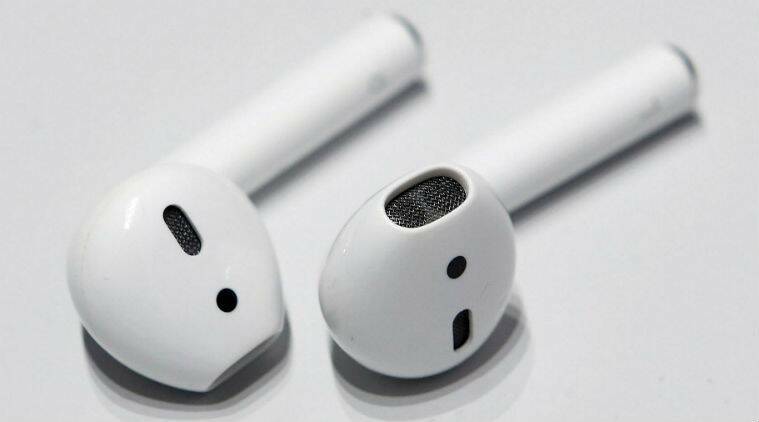 There are still a few things that you might not know about it, however, these tips and tricks should help you get most out of your AirPods. Most people avoid taking calls in the middle of a presentation, or a crucial meeting. Still, it would be nice to know who’s calling without looking at your iPhone. 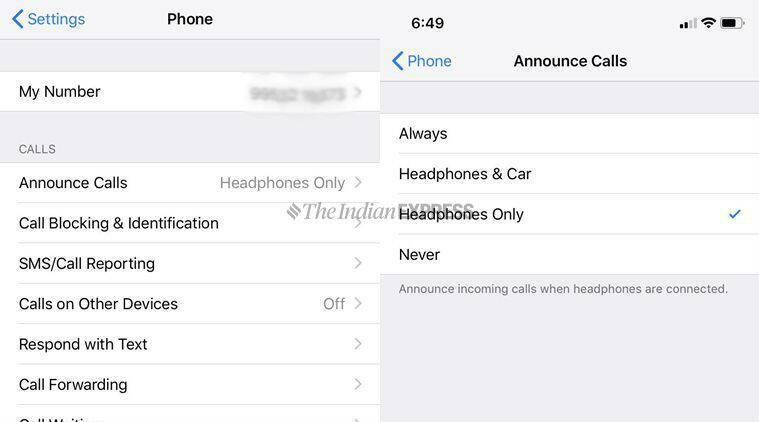 If you are wearing AirPods and want to attend calls without taking out the phone out of your pocket, there’s a feature called ‘ Announce Calls’. * Open the AirPods case. *Press and hold the button on the rear to initiate pairing mode. * Now, go to the Settings menu on your Android smartphone and select Bluetooth. AirPods can also work with any Android smartphone. 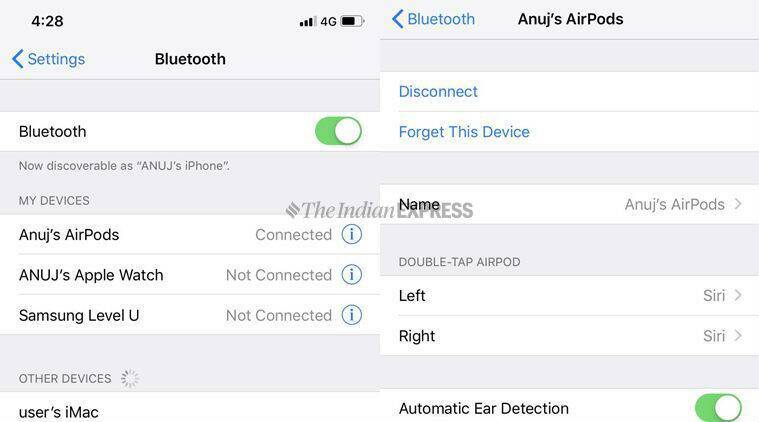 But keep in mind that since the AirPods are being used with a non-Apple device, you will lose some features such as automatic pausing when removing the wireless buds from your ear, or the ability to customise the double tap feature. There are two ways to check your AirPods battery life. 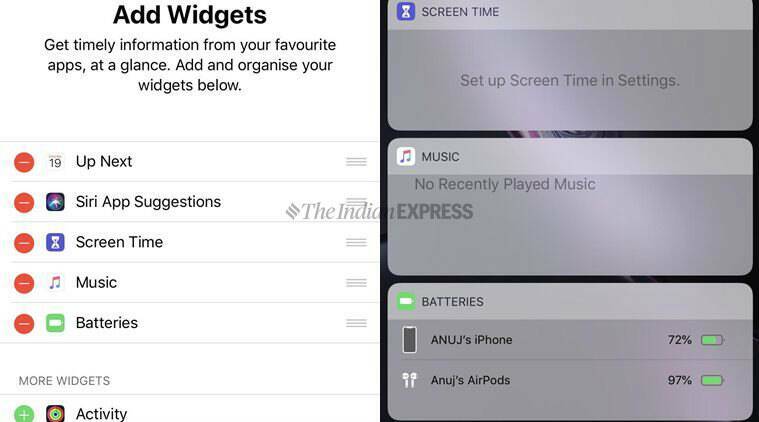 To check the battery of your AirPods, all you need to swipe the right of the iPhone display to view widgets. Once done, scroll down to the bottom of your widget list and Tap Edit. Now, find the widget you want to add, Find the ‘Batteries’, Tap the green + button, and Tap Done. It shows the iPhone’s level and the AirPods, if connected. It’s easy to check the exact battery usage of your AirPods. The other way is even more simpler. To check how much juice is left on your AirPods, just double tap an AirPod to activate Siri and say “battery percentage”. Siri will let you know a battery status of your iPhone as well as AirPods. Did you misplace your AirPods in a mall? Worry not. Apple has a tool called “Find My AirPods” that lets you view their location on a map. You can use this feature in two ways either by the Find My iPhone app on an iPhone or iPad, or by signing into the iCloud.com website on a PC or Mac. All you need to launch the Find My iPhone app or visit the website, and then sign in with your Apple ID. If your AirPods were paired with the iPhone linked to your Apple ID, they will appear in the list under “My Devices” and select your AirPods. 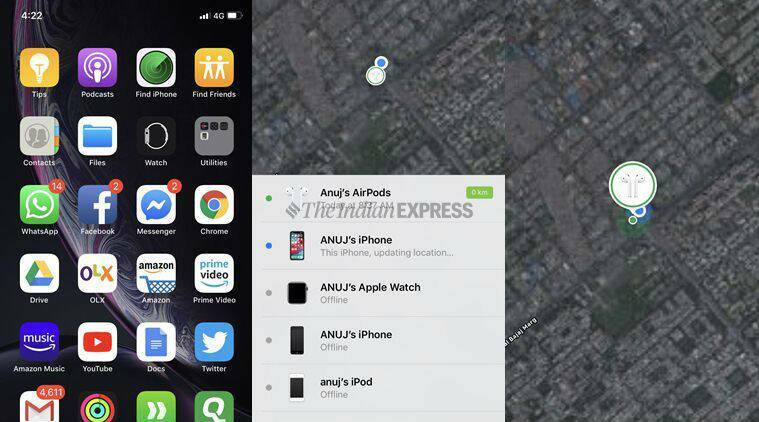 Apple has a tool called “Find My AirPods” that lets you view their location on a map. If your AirPods are powered on, they will appear as “Online”. Remember that AirPods will only appear as online if they’re in range of your iPhone. If the AirPods are out of range, are in the AirPod case, or are out of charge, they’ll appear as “Offline” instead. Even if your AirPods are offline, you can still track them and you may be able to spot heir last known location. This gives you a rough idea of the last place you used your AirPods. You can now ask Siri, Apple’s digital voice assistant, to “pause” and “skip tracks” on your AirPods. Instead of using the iPhone to change the song or volume, let Siri do it for you. As an example, you can say “play Shallow by Lady Gaga”, “skip to the next song”, or turn down the volume by 20 per cent”. *First things first, make sure your AirPods are connected to the iPhone. *Go to the Bluetooth in the phone’s settings menu. *Tab your AirPods on the list. *Select either left or right AirPod. You can now ask Siri, Apple’s digital voice assistant, to “pause” and “skip tracks” on your AirPods. You will see several options when customising the double tap, including “Siri’, which obviously activates Siri and controlling music playback with play/pause, skip forward or skip backward. Live Listen turns your AirPods into hearing aids (sort of). It is purely an accessibility feature that can let users hear conversations, in noisy environments. To activate the feature, users need to go to Control Center menu under Settings, tap Customise Controls, and then tap the + sign next to the Hearing icon to add it to the Control Center. The logic behind adding the Live Listen feature was to help users with minor hearing issues. However, some people are misusing an iPhone and a pair of AirPods to eavesdrop on other people’s conversations through the Live Listen feature.